Summertime in Pagosa Springs teems with endless blue skies and opportunities to frolic in the Colorado outdoors. Surrounded by 2.5 million acres of wilderness and national forest areas, Pagosa is blessed with more than 650 miles of trails, waterfall hikes, world-class fishing, hot springs and more. Here are some warm-weather activities in and around the town to add to your to-do list. 1. 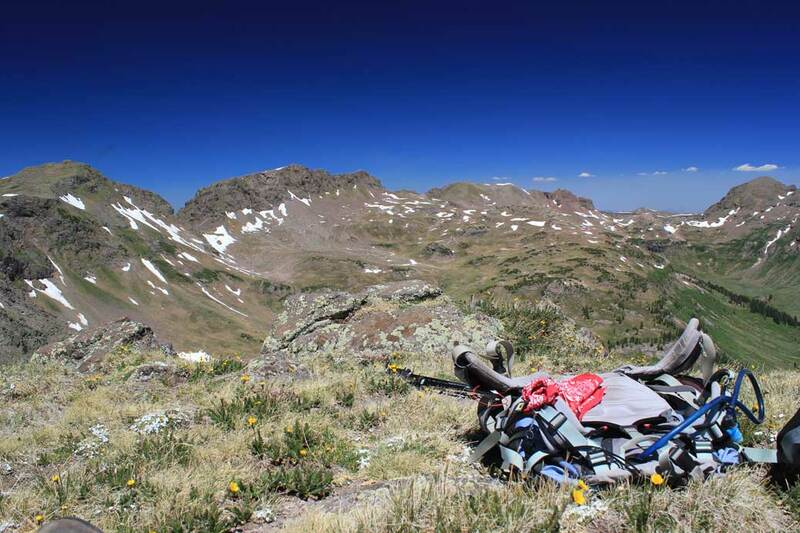 Camp and backpack in Pagosa Country’s expansive and secluded woodlands. 2. Travel to the top of the Continental Divide on Wolf Creek Pass, a steep and winding road between Pagosa Springs and South Fork. This snaky, but paved and well-maintained, road will take you to Treasure Falls. View the 100-foot waterfall from the highway and then head past the iconic West Fork Valley Overlook to Wolf Creek Pass’ summit, where you’ll be on top of the Continental Divide. At the top of Wolf Creek Pass, motorists can gain the ultimate view from the top at Lobo Overlook (accessible from Forest Road 402 from the summit). Another side trip and beautifully scenic drive, via Park Creek Road off Highway 160, leads to Summitville, a historic mining site in the heart of the San Juan Mountains. 3. Reel in an epic catch — right downtown! 4. Capture aerial views of the San Juan Mountains and the area’s gorgeous canyons and valleys on a hot-air balloon ride. During Rocky Mountain Balloon Adventures excursions, riders participate in the set-up and inflation of the balloon, learn the history of ballooning and end the trip with a champagne celebration. To see dozens of prismatic balloons float above the city, check out the annual ColorFest Weekend in September. 5. Soak in 30 different mineral-rich pools in one of three hot springs facilities. 6. Explore the history of the Ancestral Puebloans. Take a guided tour of Chimney Rock National Monument, a site that was used as a celestial observatory and seasonal calendar for the Ancestral Puebloans more than 1,000 years ago. Chimney Rock holds spiritual significance to many tribes, where the Ancestral Puebloans built more than 200 homes and ceremonial buildings high above the valley floor, with a few of the sites explored during the tours. To continue your exploration, see the best-preserved cliff dwellings in the U.S. at Mesa Verde National Park, just two hours from Pagosa Springs. Take ranger or self-guided tours of the amazing cliff dwellings or uncover lush landscapes and ancient art on a variety of hiking trails. 7. Sample refreshing, hops-flavored libations at award-winning Colorado breweries. Places in town to grab a cold one and take a brewery tour include Pagosa, Wolfe and Riff Raff Brewing companies. Try Pagosa Brewing’s perfectly spiced Chili Verde Cerveza, a winner of multiple gold medals at the Colorado State Fair. The area’s geothermally heated water, so beloved by hot-springs-goers, is a gift that keeps on giving: Riff Raff uses the water’s warmth as part of their brewing process — one of on three breweries in the U.S. to do so. And don’t pass by Wolfe’s outdoor beer garden, for good brews and amazing mountain views. 8. Hike to reflective alpine lakes, misty waterfalls and kaleidoscopic wildflower fields. 9. 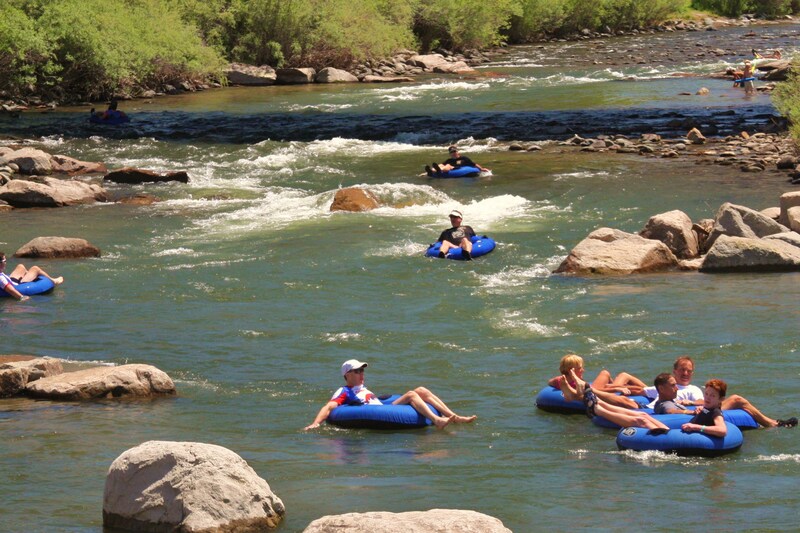 Paddle, float, tube and play in the San Juan River. 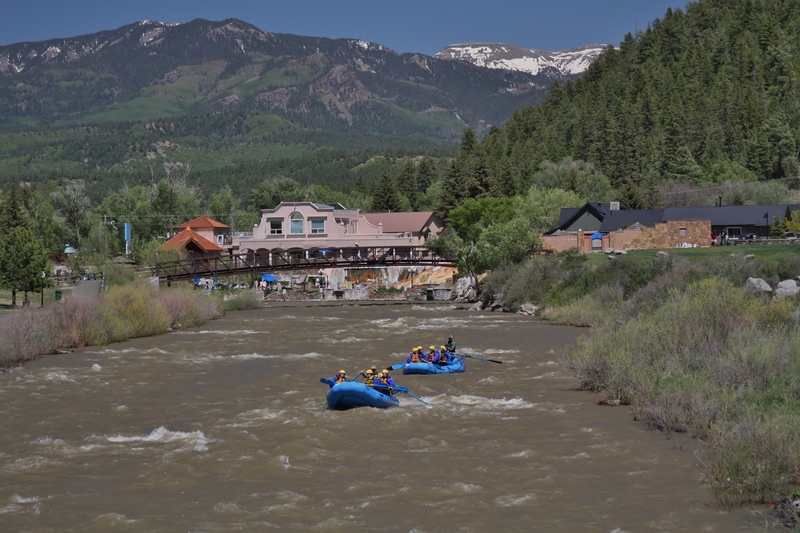 The two-mile stretch of San Juan River flowing through downtown Pagosa is easily accessible for summer water activities like tubing, kayaking and whitewater rafting. From May through mid-June, you can kayak and raft right in town. Mid-June through early September, tubing is family friendly and easy to access — shuttle service is available to ensure you can work in multiple trips on the two-mile stretch of wave-enhanced water, and tube rentals can be found at several locations around town. There are also a few swimming holes, hot-springs pools and beaches along the river, and more splash-worthy fun is available just downstream, as well. The river flows through beautiful Mesa Canyon, where rafters can admire shale cliffs and paddle through class III rapids throughout the summer months. 10. Ride historic trains to catch views of old stagecoach roads and mining camps. Just 60 miles west of Pagosa Springs, this the Durango & Silverton Narrow Gauge Railroad gives riders a glimpse at scenery only viewable by rail. Two others, the Cumbres & Toltec Scenic Railroad and Rio Grande Scenic Railroad are also within reach of the city. Train and history buffs should also make their way to Pagosa Junction, a historic site outside of town where the Denver and Rio Grande Railroad’s San Juan branch once stopped. 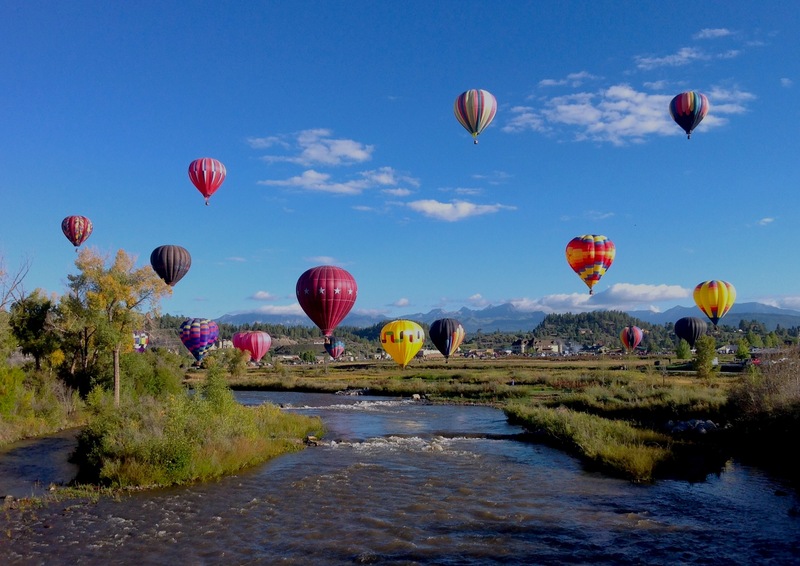 Read more about summer activities in Pagosa Springs, including festivals, mountain biking, golf, SUP and horseback riding. Find our 10 best things to do in Pagosa in the winter. And see videos on Pagosa's hot springs, ways to beat the heat and more. And from breweries and the best places to eat during your stay to connecting with outfitters for outdoor adventure, Pagosa Springs has trip ideas to keep you busy all year long.